Mignon has connotations of delicate, tiny, charming, and adorable (think filet mignon), but in English this came to be associated with a lover or a favorite, then particularly a king or other powerful person’s favorite, and then with all the associations that go with that (brown-nosing, servility, groveling dependency). The minions get back to those cute roots, but especially so in their language. It just sounds cute. One of the ways it does this is by imitating features of baby talk. The pitch is shifted upwards, it uses simple consonant-vowel syllables (ba-na-na being the archetype Minionese word), and it has an affinity for b and p sounds, some of the first consonants babies acquire. In this Minionese vocabulary list you can see this tendency in bello (hello), poopaye (goodbye), baboi (toy), and bable (apple). Bee doo, translated on the list as "fire," uses the age-old strategy of baby onomatopoeia (woof woof for dog, choo choo for train). It’s the sound of a fire alarm. Minionese is not in any way a fully-fledged, worked out language like Klingon or Dothraki, but it is more interesting than Ewokese, the babbling of the Star Wars Ewoks, another language engineered for cuteness. Ewokese was apparently based on the general sound of a Central Asian language called Kalmyk (and a few other languages), but without any regard for meaning. Actors simply listened to random recordings of the language, and imitated what they heard. Kalmyk speakers would not recognize any connection with what they were hearing and the action on the screen. Not so for Minionese. Speakers “hear” their languages in it because the phrases often work with what they see. When the Queen presents a minion with her crown, he says terima kasih, "thank you" in Indonesian. When they give a toast they say kampai, "cheers" in Japanese. 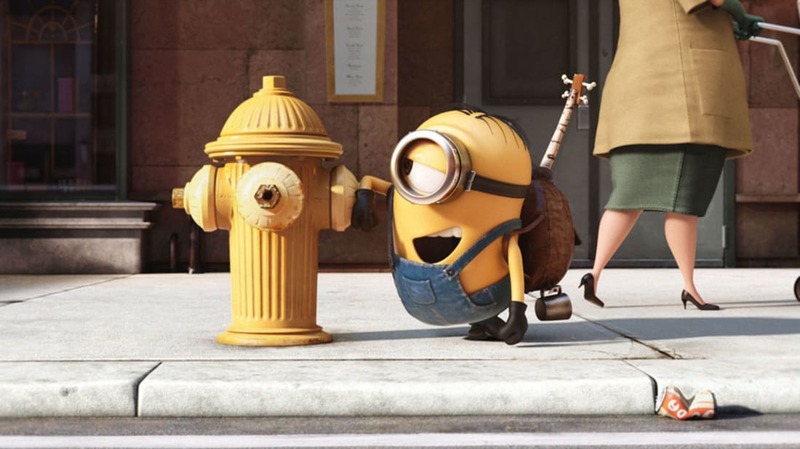 They count in Korean (hana, dul, sae) and use Tagalog (pwede na) to ask “can we?” In the hitchhiking scene, when the angry minion says “macaron!” it sounds like “Madon!” an Italian phrase of exasperation. Though it is possible to list a sort of rudimentary vocabulary of Minionese, it does depend to a much greater degree than more sophisticated languages on context. The McDonald’s Happy Meal toy scandal, where people thought a plastic minion was swearing, shows that the real reason people “understand” what the minions are saying is because it’s clear from the context. You hear the following phrases differently if you expect them to be saying para la bukay, and heh heh heh. The use of this babyish, suggestively international language is deployed expertly in the films within the surrounding context so that the audience never arrives at the uncomfortable sensation of being lost. There’s a lot of comic potential in the land between complete understanding and completely lost, as shown here in another masterful version of the genre, Andy Kaufman, Latka from Taxi, the adorable ur-minion before we had any idea what a minion was.